So, as a journalist interested in the history of both political and armed conflicts, I had to dig deeper into the complex dynamics of this secessionist movement as well as the broader dynamics of why regions within otherwise successful nation states seek to shatter those unions. For Americans, there were the events that led up to the Southern secession of the Civil War. Having grown up in Canada, I had experienced two votes for the separation of French-speaking Quebec from the Dominion of Canada. Still, the reasons why separatist movements had such strong appeal – even when they ultimately failed – always mystified and intrigued me. Looking for answers, I reread George Orwell’s Homage to Catalonia, which presented a first-hand view of the Spanish civil war of the late 1930s. It still left me as confused as Orwell seemed to be about the factions involved in the struggle. Walking in the streets of Barcelona today it’s easy to forget the great political passions that once played out here in Orwell’s time. It was here in Barcelona on July 19, 1936, that the opening shots of the Spanish Civil war were heard. It was Barcelona’s revolutionary fervor that helped inspire volunteers from 50 countries across Europe and the Americas to join International Brigades to fight against Gen. Francisco Franco. There were an estimated 8,500 volunteers from neighboring France, 4,000 British, 2,800 Americans and 1,700 Canadians. The surviving wounds of the war in Barcelona are mostly psychological with scant physical evidence. In the Placa Sant Filip Neri, shrapnel scars in the church walls from two bombs dropped by the Italian Fascist Air Force that killed 42 civilians can still be seen. Placa de George Orwell is a peaceful square in the city’s Gothic Quarter, where the only tangible reference to the writer can be found today. The popular Bar Libertaria, whose walls are a celebration of Catalan anarchism, with original posters, photos and newspaper clippings from the civil war is a mecca for today’s independence supporters. The owner Sergio claims Catalonia’s brand of libertarian anarchism is alive and well, especially in response to unemployment, corruption and growing social inequality in Spain. 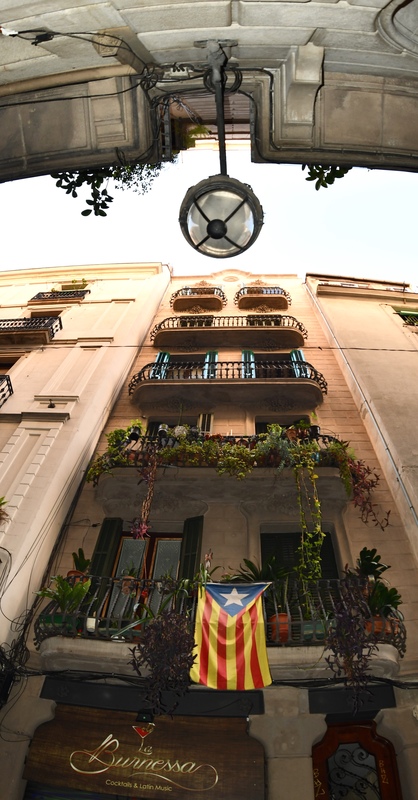 But the majority of flags flying over Barcelona or draped over balconies today are Catalonian, supporting independence. Historian Stanley Payne, a scholar of modern Spain and fascism at the University of Wisconsin, has offered logical historical reasons why Spain is today prone to the attraction of regional independence. In 1936, Franco’s army launched a crusade to save Spain from “foreign threats,” such as anarchism and communism, and drove the country into a bloody civil war in which up to one million people died and 500,000 were forced into exile. 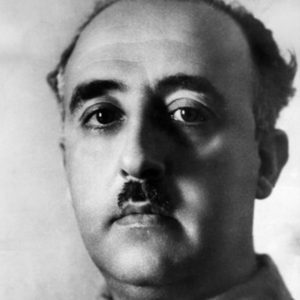 Longtime Spanish dictator, Gen. Francisco Franco. Following the war in 1939, Franco consolidated an authoritarian regime that remained in place until his death in 1975. Franco’s regime exalted a conception of Spanish nationalism built on the long-past achievements of imperial Spain and the “purification” of Spanish civilization with the expulsion of the Moors and Jews and the spread of Christianity. 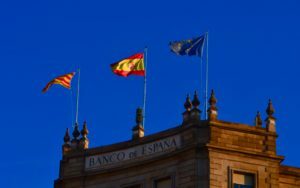 Today’s Spain lacks the intense nationalism that has surfaced in other European nations as part of a resurgent right-wing populism and rejection of supranational entities, such as the European Union. But there is a dark side to this disappearance of Spanish nationalism: a surge of “subnationalism” in regions like Catalonia, the Basque Country, and Galicia. The success of democracy in the post-Franco period has allowed Spanish regions to assert long-repressed identities. In the case of Catalonia, that sentiment seems to have reached a breaking point. On Oct. 1, Catalonia, a region of 7.5 million, held a referendum on whether to declare itself an independent country, drawing 42 percent of eligible voters to the polls and registering a 92 percent majority for independence. But only the separatists are taking the landslide vote as an accurate reflection of the will of the Catalan people, in part, because there was no independent verification of the tallies. Madrid also declared the referendum illegal and took a heavy hand toward the vote. Days before the referendum, the Guardia Civil arrested Catalan officials and seized 10 million ballots. National police blocked voters from entering polling stations. According to Catalan officials, altercations between police and the public caused injuries to 844 people. The Catalan government claims Madrid’s aggressive tactics explain the relatively low turnout (although Madrid’s harsh reaction was also cited by some observers as a factor in the lopsided outcome in favor of independence). Fortunately for those of us struggling to understand the daily news reports from Spain, a timely new book has surfaced, The Struggle for Catalonia: Rebel Politics in Spain, by Raphael Minder, a Swiss journalist based in Madrid for the last ten years for The New York Times. The book attempts to explain what has brought Spain and Catalonia to the brink of divorce. Picasso’s famous Spanish civil war painting, Guernica (1937), depicting the Fascists’ aerial bombardment of the town. 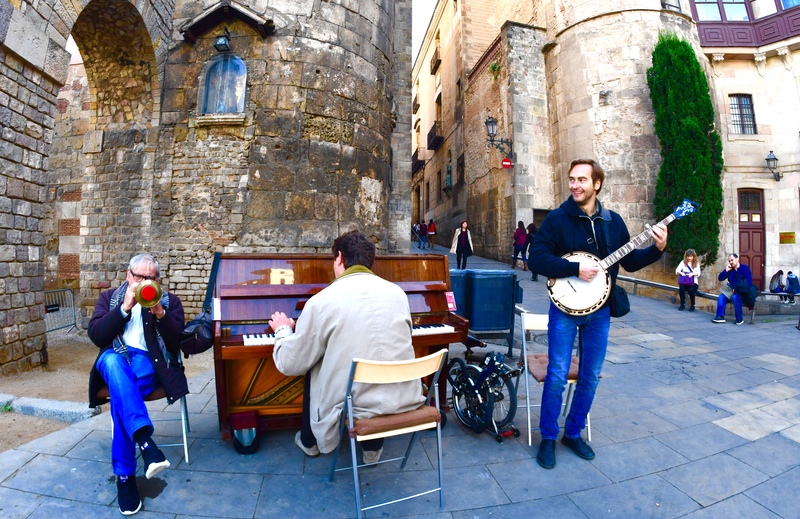 Minder asserts that despite Catalonia’s claim to a history and culture distinct from the rest of Spain, it is deeply connected. Indeed, Minder writes that it is difficult, if not impossible, to understand Catalan history as separate from Spanish history. After all, Catalonia was one of the main theatres of the civil war, home to some of the key losers in that conflict, such as the anarchist movement, trade unions and the communist party. And in spite of Catalonia’s resistance to Franco — resulting largely from his elimination of all autonomy and harsh repression of Catalan culture, language and the flag — parts of Catalan society supported his fascist assault on democracy in1936. Franco’s lengthy rule was backed by the Catalan business community, rural oligarchs, and the Catholic Church. Further, Catalan nationalists have historically relied on compromise with Madrid to advance their agenda, casting it as an aspiration for local rule and not independence. Raphael Minders book is based on interviews with 200 politicians, journalists and scholars, giving it a wide scope of the Catalonia crisis. Minder places the origins of the current conflict, not to ancient claims of Catalan nationhood, but rather to the provocations of a new generation of Catalan leaders who support independence and have little regard for the democratic institutions put in place after Franco. Also feeding the movement was Madrid’s overheated response to the Catalans’ desire for more control over their own affairs. Madrid’s behavior amounts to a failure of leadership. It has allowed a dispute over Catalonia’s control of its fiscal affairs to grow into the most serious constitutional crisis that Spanish democracy has faced in the post-Franco era. Madrid’s position toward Catalonia hardened considerably after 2011 when conservative Mariano Rajoy became Prime Minister. He immediately said his administration had no interest in accommodating Catalans’ request for greater autonomy. In 2015, following Catalan regional elections, Catalonia’s new premier Carles Puigdemont, from Girona, Catalonia’s most independent province, escalated the crisis by announcing plans to create the Republic of Catalonia. During his swearing in, Puigdemont broke with precedent by refusing to pledge loyalty to the Spanish Constitution. It also was no accident that the Catalonia crisis deepened as Spain endured its most serious economic crisis in decades, following the international financial crash in 2008. The unemployment rate reached 27 percent, the highest in the European Union, and sharpened the sense among Catalonians of being economically exploited by the rest of Spain. Other factors also fed the Catalonia’s interest in independence. The 2014 Scottish independence referendum, although rejected, inspired Catalans to demand a referendum from Madrid. They were also inspired by the Brexit vote in which a majority of British voters decided to exit the European Union. Catalans also take extraordinary pride in their cultural, architectural and business achievements. Minders’s book hails Catalonia as one of Europe’s most culturally complex, economically prosperous, and politically liberal regions. In particular, his book praises Barcelona, Catalonia’s capital as one of Europe’s most cosmopolitan cities. In 2016, Barcelona attracted over eight million visitors, making it one of Europe’s top tourist attractions. Minder also gives great attention to how Barcelona’s identity is being transformed by “big money and international brands.” Until recently it seems Barcelona had managed to retain its local flavor while opening itself to the world. Its current transformation is felt most dramatically in its old city center, the Gothic Quarter, where hundreds-of-centuries-old businesses, such as book stores, bakeries and toy stores, have disappeared in the last few years due to rising rents. Ironically, the Catalan independence movement faces its toughest resistance in Barcelona although secessionists have relied heavily on Barcelona’s size and importance to argue Catalonia would be a sustainable state. But the argument hasn’t captured the hearts and minds of a broad cross-section of Barcelona citizens. The cosmopolitan city is a magnet for people from other parts of Spain as well as for immigrants. It’s home to the largest Muslim community in Spain and has sizable communities of Latin Americans. Many of these citizens are suspicious of what an independent Catalonia might hold for them and for Barcelona. Another obstacle to independence is Barcelona’s business community, which is unsure that Catalonia, with 16 percent of Spain’s population and accounting for 20 percent of Spain’s GDP, can survive on its own, especially given the E.U.’s negative reactions to the referendum. Such uncertainty is causing an exodus of businesses from Catalonia. According to the newspaper El Pais, almost 700 businesses have left since the independence movement began. And since the referendum, Catalonia’s two largest banks have moved to other regions. It could well be that pressure from the business community rather than Madrid will break the Catalan separatist movement. New elections in Spain have been scheduled for Dec. 21 amid calls for compromise echoing from Madrid to Barcelona. But Madrid’s display of violent force on the day of the Catalonia’s referendum, and the images that linger on social media of police shipped in from other regions beating up voters, dragging the elderly through the streets and firing rubber bullets into peaceful crowds have given the separatists the moral high ground and likely expanded support for independence. Further use of force by Madrid would be like throwing gasoline on a fire. Jose Andres is a Spanish-American writer living in Barcelona whose dual identity as a Spaniard and a Catalan reflects the sad dilemma that many who care for both Spain and Catalonia face. Andres described the last few months as being caught between opposing forces: a hard-headed national government in Madrid keeping Catalans from their democratic right to vote, and a rogue group of misguided politicians leading Catalonia off a political and economic cliff. “In between these two extremes is the true story of Spain and Catalonia, where I and millions of Spaniards find ourselves,” he wrote. Andres believes that for Catalonia to ensure a stable future, the silent majority will need to find its voice and bring “seny” back to the heart of Catalan and Spanish society. Since the abortive referendum, thousands of Spaniards have taken to the streets to demand national unity. From the movements slogan, “Parlem Hablemos” (let’s talk), to the Spanish flag waving on the streets of Barcelona, the desire for peace and reconciliation is evident. On Oct. 10, the separatists suspended a unilateral declaration of independence to allow for negotiations with Madrid and the new elections on Dec. 21. Marketing Christmas decorations in Barcelona November 27th. The Christmas market at the Cathedral square, Barcelona. Flamenco dancers perform for tourists in Barcelona. Reporter Don North pretends to read the Spanish national newspaper El Pais while nursing a glass of Catalonian wind in George Owell Square. Placa de George Orwell in Barcelona. 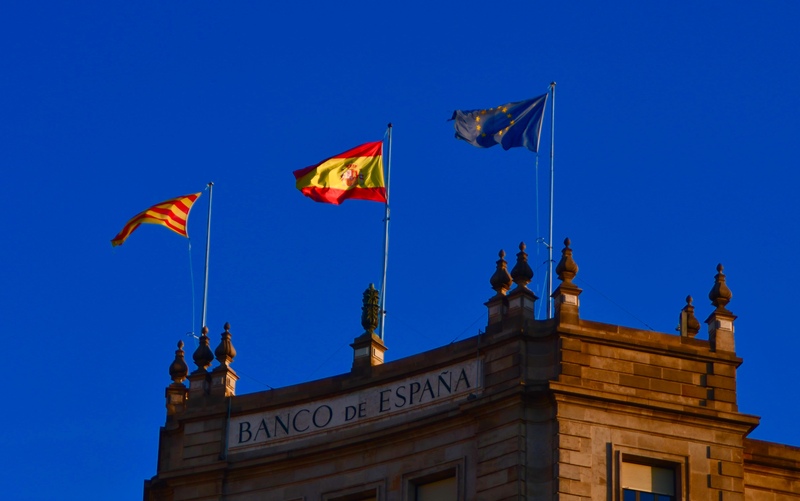 Three flags…Federal Republic of Spain, Catalonia and European Union fly over Barcelona. La Rambla, a main pedestrian shopping street in the Gothic Quarter of Barcelona.